Innovative problem solving, repeated innovation, learning, and inhibitory control are cognitive abilities commonly regarded as important components of behaviorally flexible species. 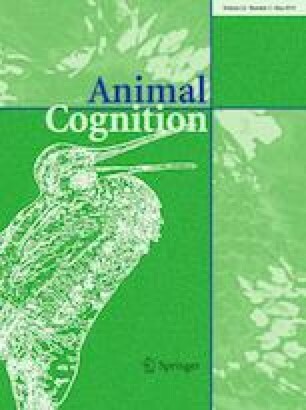 Animals exhibiting these cognitive abilities may be more likely to adapt to the unique demands of living in novel and rapidly changing environments, such as urbanized landscapes. Raccoons (Procyon lotor) are an abundant, generalist species frequently found in urban habitats, and are capable of innovative problem solving, which makes them an ideal species to assess their behavioral flexibility. We gave 20 captive raccoons a multi-access puzzle box to investigate which behavioral and cognitive mechanisms enable the generation of innovative and flexible behaviors in this species. Over two-thirds of raccoons tested were not only capable of innovative problem solving, but displayed repeated innovation by solving more than one solution on the multi-access puzzle box and demonstrated that they learned multiple solutions to a novel problem. Although we found no relationship between our measure of inhibitory control and a raccoon’s ability to exhibit repeated innovations, we did find a positive relationship between the diversity of behaviors that an individual exhibited when interacting with the problem and the number of solution types that they solved. We identified other predictors of problem-solving performance, including neophobia and persistence. Finally, we examine the implications of our results in the context of the cognitive-buffer hypothesis and consider whether the widespread success of an adaptive generalist carnivore could be due in part to having these cognitive and behavioral traits. The online version of this article ( https://doi.org/10.1007/s10071-019-01252-7) contains supplementary material, which is available to authorized users. We thank the NWRC for their collaboration on this project. We also thank the Division of Research Support at the University of Wyoming for constructing our puzzle box. This research was supported by a grant from the Animal Behavior Society to SED and two NSF EPSCoR grants to REF. We are grateful for suggestions and revisions on this manuscript from members of the Animal Behavior and Cognition Lab at the University of Wyoming. SED designed the study, ran experimental trials, conducted statistical analyses, and wrote the manuscript; REF ran experimental trials and wrote the manuscript; AG provided access to the study site and subjects; SBA designed the study and wrote the manuscript. All authors gave final approval for publication.